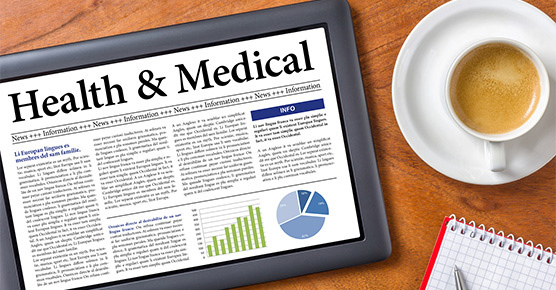 At the University of Chicago Medicine, we take a personalized approach to treatment. Our goal is to provide each patient with individualized care, better outcomes and an overall improved quality of life. We thoroughly evaluate your condition and partner with you to decide what treatment strategy works best with your diagnosis and lifestyle. Before starting her career in wine imports, Erin Drain's life was preoccupied by a mysterious condition. I would get bad headaches and get really dizzy, see stars, and pass out every once in a while or feel like I had to faint. So it was pretty confusing and also — I mean, I thought I was having a heart attack. Erin Drain was a teenager when she first began to experience a feeling inside her chest. But she couldn't pinpoint what it was. It almost felt like switching gears in a car, like downshifting too soon or something. I would feel this physical sensation in my heart. And all of a sudden, it was almost like maybe a skipped beat, and then suddenly my heart rate would just skyrocket. The episodes continued on for 14 years, often lasting up to 10 hours at a time, affecting Erin's everyday life, contributing to anxiety, even panic attacks. Because I never could predict it, it was just hanging over my head all the time. I would be out with friends or on vacation or walking around a park or doing anything — or having dinner, drinking wine, anything, and it would just strike. Erin was actually having heart palpitations, giving the sensation of a rapid heartbeat. Erin's physician recommended she look into a procedure called an ablation. That's when she found Dr. Roderick Tung, cardiologist and the director of electrophysiology at UChicago Medicine. Dr. Tung could relate personally to Erin's condition. I went into cardiac electrophysiology because, when I was 18 years old, I had a rapid arrhythmia that would shoot my heart rate up to about 240 beats per minute when I was a freshman in college. And when it first happened, I actually thought I was going to die and went to the emergency room. And eventually, I was diagnosed with a very common arrhythmia called AV node reentrant tachycardia. By injecting an implantable microchip under Erin's skin, which monitors her heart, Dr. Tung diagnosed her with Wolff Parkinson White syndrome, an arrhythmia he said of which 99 percent of cases can be cured with an ablation. Hers was a very unique kind of WPW because her extra pathway, this extra little connection that conducts electricity and gets caught into a circuit, it didn't conduct forward. It only went backwards. So you actually can't even see it on her EKG. And we call that a concealed pathway. Erin's ultimate solution was something called catheter ablation, which is a little flexible tube on a pulley and wires system that we can steer. And it's a non-surgical approach. There's no cutting. There's no sewing. There's no stiches. And we go up through the veins of the leg, and we find where that extra little connection is that creates the electrical circuit that causes the little short circuit and makes our heart rev up so fast. And then we zap it. We burn it. It's cauterization. And for hers, she's completely cured. Erin was able to go home the same day she had her procedure. She noticed a new, strange sensation afterwards — the feeling of a normal heartbeat. I was sitting on the couch and I remember thinking, I feel different because I can't feel my heart beating, which is normal. And so, it actually was sort of freaky at first and I was questioning if I was a ghost. It was a new feeling for Erin, finally providing the freedom to pursue her passions. I feel great. I definitely feel like it's just part of my life I don't have to think about anymore, which is awesome. Antiarrhythmic drug therapy uses medication to slow down an irregularly fast heartbeat and restore it to a normal rhythm. Anticoagulation management is the use of blood thinners to prevent clots and reduce the risk of stroke for patients with heart rhythm disorders. Diet: Eat a healthy diet that's low in salt and solid fats and rich in fruits, vegetables and whole grains. Exercise: Exercise daily and increase your physical activity. Quit smoking: If you smoke and can't quit on your own, talk to your doctor about strategies or programs to help you break a smoking habit. Maintain a healthy weight: Being overweight increases your risk of developing heart disease. Controlling blood pressure and cholesterol: Make lifestyle changes and take medications as prescribed to correct high blood pressure (hypertension) or high cholesterol. Drink alcohol in moderation: If you choose to drink alcohol, do so in moderation. For healthy adults, that means up to one drink a day for women of all ages and men older than age 65, and up to two drinks a day for men age 65 and younger. Maintain follow-up care: Take your medications as prescribed and have regular follow-up appointments with your doctor. Tell your doctor if your symptoms worsen. For conditions that cannot be controlled through medical management alone, some patients may be candidates for nonsurgical treatment of their arrhythmia. Our heart rhythm experts offer a wide range of minimally invasive, interventional procedures to treat arrhythmias. Ablation is a minimally invasive procedure that involves inserting a specially designed catheter through the leg into the heart. The catheter is used to locate the arrhythmia source, which is then eliminated using extreme cold, laser technology or radiofrequency. Our highly skilled expert team offers comprehensive ablation management. Read more about our expert ablation services. Cardioversion normalizes irregular heartbeats by delivering small pulses of electrical current to the heart through electrodes (patches or paddles) placed on the chest. A small amount of electricity is used to reestablish a regular heart rhythm. Cardiac resynchronization therapy (CTR) is used to correct an arrhythmia where the right and left ventricles are not beating together. During CRT, a biventricular pacemaker is implanted under the collarbone, delivering small electrical impulses to the heart and rectifying the irregular beating. This is typically used for patients whose heart failure is causing an abnormal heartbeat. Learn more about biventricular pacemakers. Our team of electrophysiologists works closely with our heart failure program to deliver advanced ventricular care for patients suffering from congestive heart failure. Implantable devices are mechanical devices that are placed under a patient's skin to monitor and correct irregular heartbeats. The Center for Arrhythmia Care offers a full range of implantable devices to manage heart rhythm disorders and will work with our patients to determine which option would be best for their individual needs. Learn more about our implantable device services. Lead management becomes necessary when leads — wires that deliver energy for implantable devices — malfunction, become infected or are recalled from the market. Depending on the circumstances, the lead may need to be removed, also called lead extraction. Leads can be removed either though a small incision in the upper chest or by going through the groin. During an extraction, a sheath, or tube, is maneuvered over the lead. Then laser technology breaks up the scar tissue around the lead, loosening it for easy removal. Our high volume lead extraction program ensures that we offer the experience and the skill you can trust if you need a lead extraction. Left atrial appendage (LAA) occlusion or exclusion is used for patients with atrial fibrillation (AF) to reduce their risk of stroke. The left atrial appendage is a pouch that is located off the left atrium that can fill with blood and be a source of blood clots for those with AF. There are two primary closure options for the LAA — a suture is tied around the bottom of the appendage or a small "plug-like" device is inserted. Both methods work to cut off blood flow to the appendage and reduce the risk of clotting and stroke. Some complex arrhythmias may require surgery to effectively manage your arrhythmia and eliminate symptoms. Our physicians will thoroughly discuss these options with you and together you will decide on a solution that best meets your needs. Surgical ablation is an option for patients who have not responded well to conventional treatments. 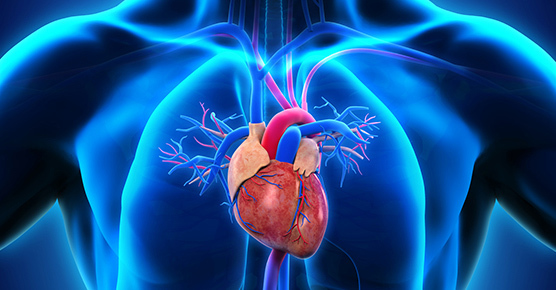 Ablation therapy is performed during traditional open-heart surgery or through a minimally invasive robotic procedure. We partner with our expert cardiac surgeons to offer a viable treatment solution to patients with complex arrhythmias. Learn more about surgical ablation. Hybrid procedure for atrial fibrillation is reserved for patients whose arrhythmia has persisted after standard ablation techniques. These long-standing, complex arrhythmias frequently require ablation on both sides of the heart wall for effective treatment. To offer these patients relief, we perform hybrid atrial fibrillation surgery, which combines surgical ablation with catheter ablation for a highly targeted solution. 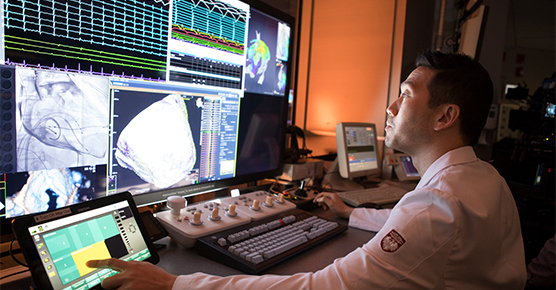 UChicago Medicine electrophysiologists offer tailored treatments for your specific atrial fibrillation condition.